If any of you guys love rogue then check this guy out. 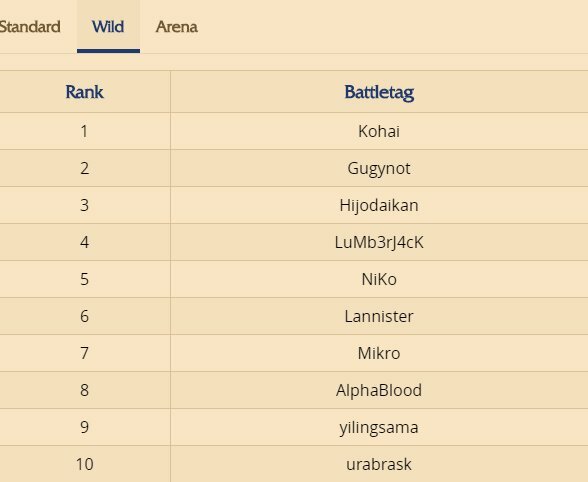 Hes constantly ranked no 1 in legend rank (wild and standard) so he will provide the best rogue decks in each expansion. Hes ranked no 1 in world on leaderboard. Hes a insane player.